A leather jacket which can give you more attractive look to enhance your personality, the same jacket has represented infamous Hollywood movie Guardians Of Galaxy where Star Lord showed in this attractive attire. This main character is been portrayed by Chris Pratt. William Jacket introduced the same featured jacket for you which is made of quality PU leather. It is design with viscose lining interior and front is padded along with full zip fastening. 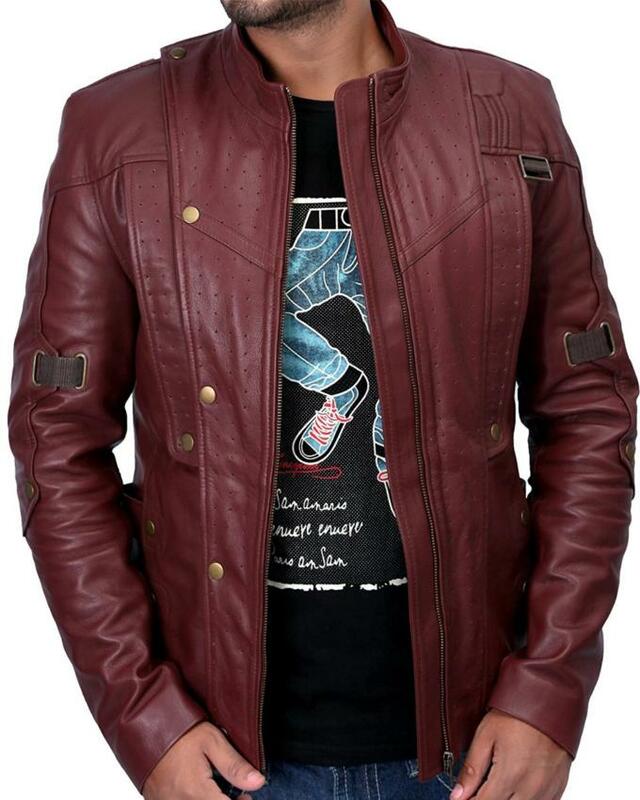 Star Lord Jacket has the unique look of the sleeve which is lashed with adjustment belt whereas its open hem cuffs look more attractive with these full-length sleeves styling. 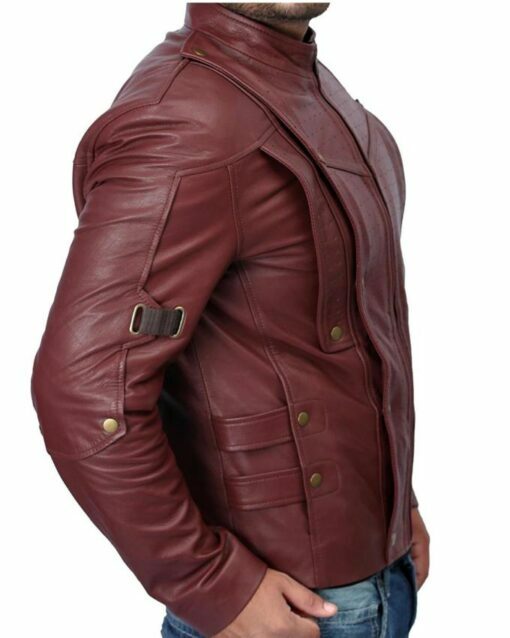 Star Lords PU Leather jacket has two pockets around the waist area over the front and two pockets are inside the jacket. 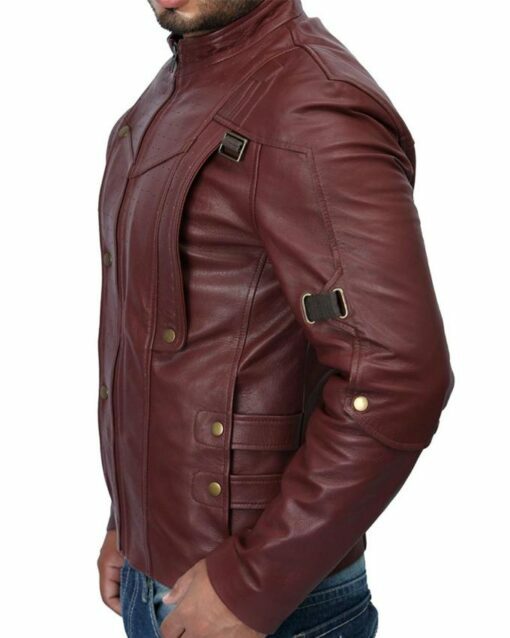 Overall this jacket has red color and short height standing collar which gives a more eye-catching look to Overall jacket. 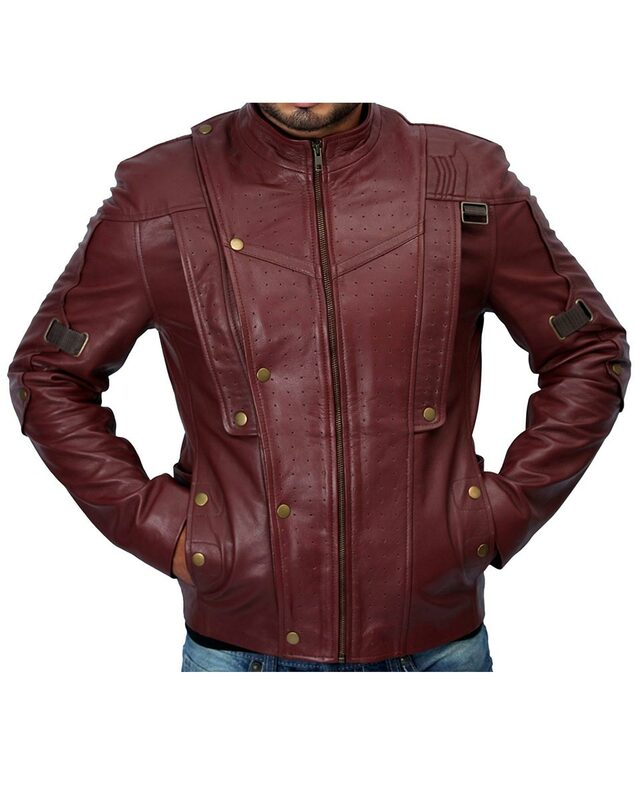 I was looking for a movie jacket, to be honest; I wanted a jacket of the latest blockbuster movie. So I did a lot of searching online and had a hard time finding something that caught my eye…..until I came across a movie called Guardian of the Galaxy. That movie proved to be a big hit and I found something that really stood out. Chris Pratt’s jacket is really a stylish attire which I knew would be good enough to wear it for hangouts or in outing. It’s not only cool in style but also reasonable in price.